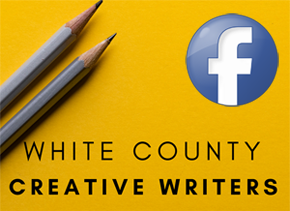 Since 1995, the White County Creative Writers group has had but one goal – improving our craft. In this process, we have discovered that there are no rules! What challenges one member may come easy to another; what some have questions about, others furnish answers. That’s what makes this group work. We have invited educators, authors, publishers and editors to speak to the group, formed critique groups, had members share learning experiences from other groups or workshops they have attended, and discussed what works and doesn’t work for each of us. Over the years, some of the beginners have become masters, and the students have become the teachers. Each year brings new members who come either with one simple question — “What can help make me a better writer?”— or experiences they are eager to share. 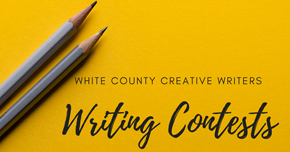 WCCW has undertaken such community projects as an annual poetry reading in celebration of National Poetry Day, writing contests for students in White County and an open challenge to groups and citizens of White County to raise funds for the public library. WCCW also enjoys a close relationship with the staff at Harding University, and is included in many of their on-campus activities. This participation is very special to us, and we extend our thanks to them. 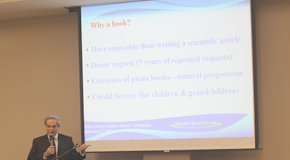 The 2019 White County Creative Writers Conference will be held August 31, 2019 in Searcy Arkansas. Conference speakers include Veda Boyd Jones, Jo McDougall, and Steve May. Plus we’ll be naming winners of the 2019 Writing Competition. We hope to see you there! If you live in Central Arkansas, then we invite you to come visit us! 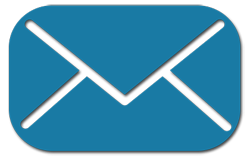 Bring your pens, pencils, laptops, iPods, iPads, Smartphones, Touchpads, or whatever device you choose to use, (plus your imagination), and check us out! WCCW meets the third Monday of every month from 6:30 to 8:30 p.m. in Simmons First Bank, 401 South Main Street, Searcy, AR. 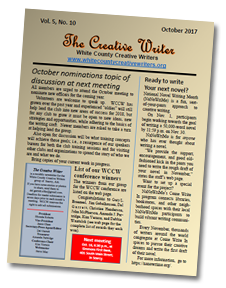 WCCW has just launched a new blog especially for writers. It’s called The Write Way. Members of our group will post articles on anything related to the writing process: finding inspiration, tips & techniques, improving your craft, finding your voice, and more. Click here to read our newest post.